Ian Livingston - who recently saw his earnings jump 20% after a strong year for the company - will be replaced by CEO of BT Retail Gavin Patterson. Ian Livingston, who has been at BT for 16 years and the company’s chief executive since 2008, has announced he is leaving the telecoms giant in September to become the government's Minister for Trade and Investment. He will be replaced by Gavin Patterson, currently chief executive of BT Retail and a member of the company’s board since 2008, having joined the company in 2004. Sir Michael Rake, Chairman of BT, said: ‘Ian has done a tremendous job in transforming BT. His decision to accept a government post demonstrates the sense of public service which many of us know to be characteristic. He leaves behind him a very capable team, one which will take forward the strategy that has served BT well and which lays out the path to further success. As CEO, Livingston has relentlessly trimmed BT's costs whilst leading the firm's fightback against Sky, culminating in the recent launch of BT Vision. He has also been publicly critical of government infrastructure investment - views which his new job will allow him to see from the other side of the fence. 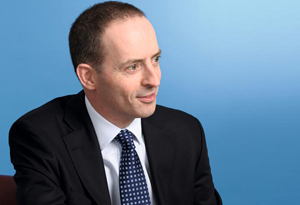 Livingston, tipped by MT as one to watch in the late 1990s when he was FD of Dixons, recently received a pay package of more than £9m last year – a rise of 20% on the year before - after the company’s share price soared. His basic pay was £925,000, and he opted to take a pay freeze for the third time in five years. He also received a cash bonus of £1.2m and payments worth £270,000 in lieu of pension contributions. But most of his earnings came from a long-term incentive share plan worth almost £6m, after shares at BT reached a six-year high. BT’s annual profits hit £2.5bn for the year to March, a better-than expected figure, after strong demand for its broadband services. BT is planning to launch its own Sports channel, which will show Premiership football games. The company has bought the rights to show 38 games over a three-year deal, hoping to take on key rival BSkyB. Ian Livingston replaces Lord Green – the former HSBC chairman – who will stand down as the government’s trade minister at the end of the year.